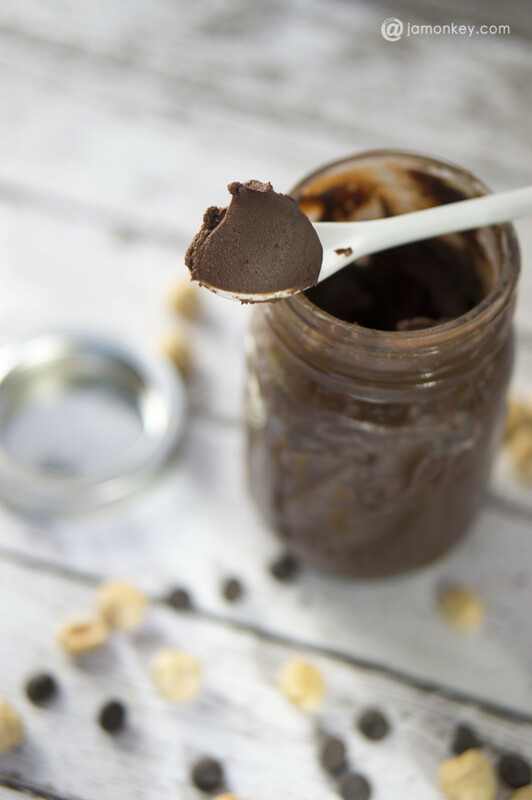 This homemade hazelnut spread is a skinny version of the Nutella you already love. It is made with dark chocolate and almond/coconut milk blend instead of milk and cocoa. 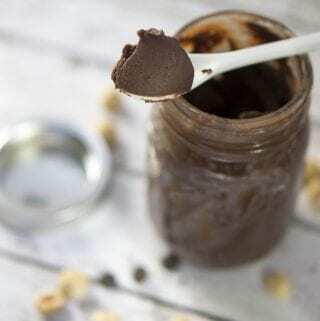 It tastes great and you can make it at home in your blender or food processor. Blendtec recently sent me their Designer 725 to try out with their Twister Jar . I’ve used it every single day since it has arrived. 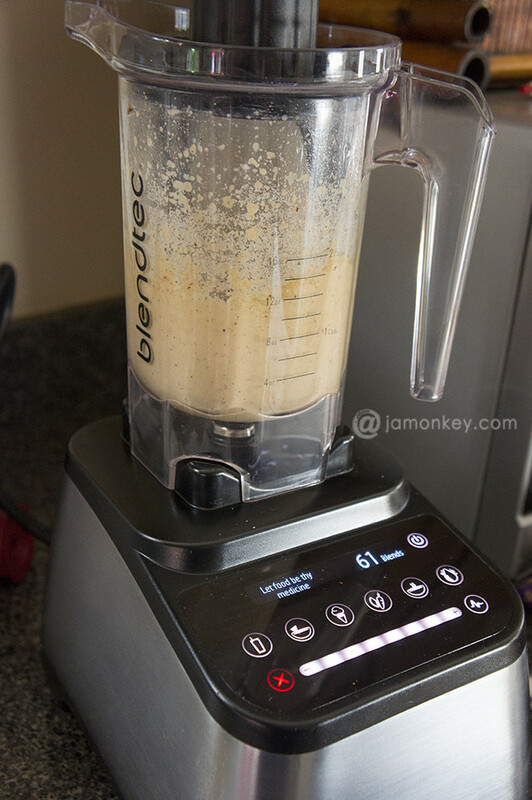 Whether it was making smoothies or peanut butter, I’ve done it in my Blendtec. This thing is a beast of a kitchen appliance, one that I never really thought I needed until I got it. 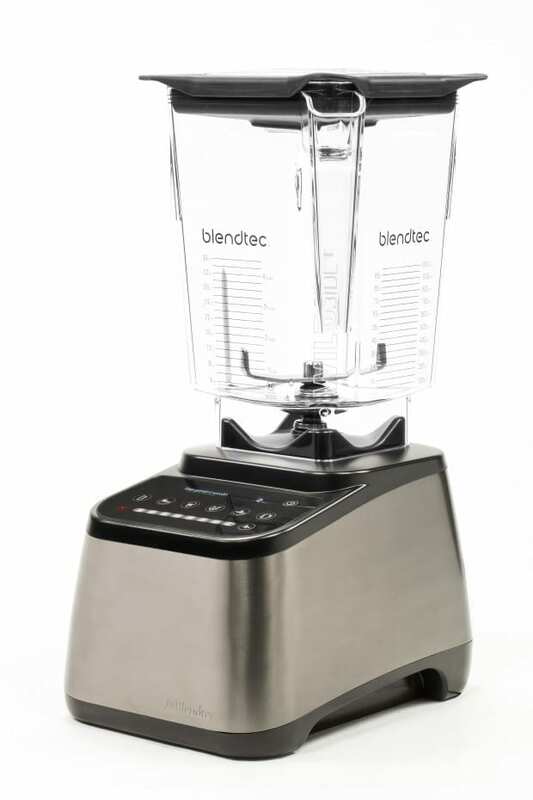 When you think of blenders you think of them as a way to make smoothies and that is it, but the Blendtec website is filled with recipes for soup, nut butters, hummus, facial scrubs, desserts, marinades and a ton more. I subscribed to their newsletter so that I could experiment and try everything they send me. 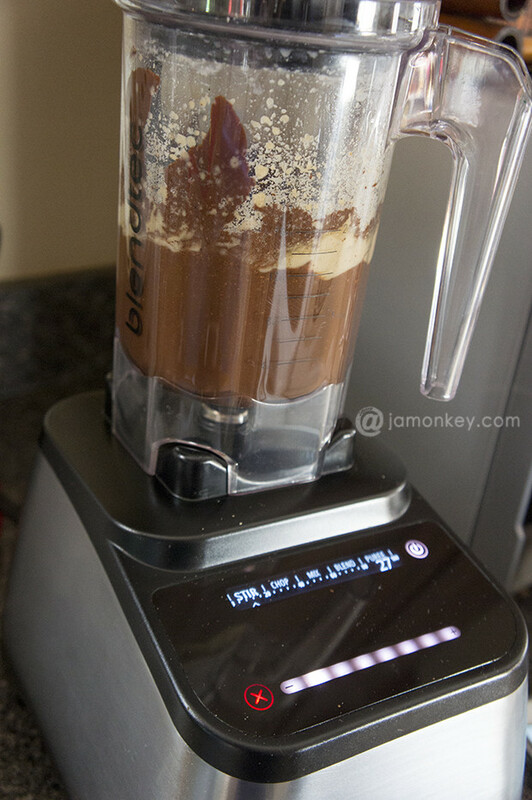 The Twister jar is a handy jar to have with your Blendtec. It’s perfect for single smoothies or baby foods but I use it for the hard to grind stuff like nut butters or hummus. 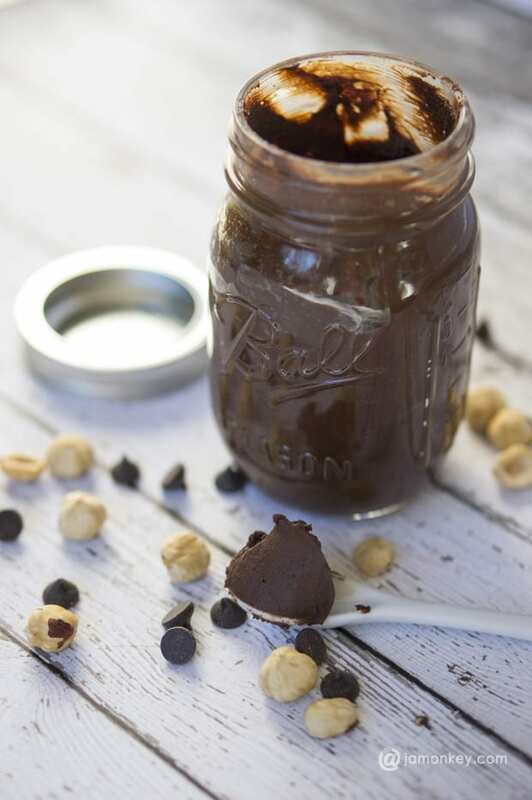 So far I’ve made Peanut Butter, Cashew Butter, and this Hazelnut Chocolate Spread. It doesn’t take long and you don’t need anything extra like oils and emulsifiers that come in the store bought ones. The Twister jar has a patented twister lid that scrapes the sides of the jar forcing the food back into the blade to make sure you get an even blend. A handy aspect to using a high-quality blender like this is the speed of the blade causing enough motion to heat whatever it is you are making. When the nuts get hot, they blend into the smooth texture you love. You can also leave it kind of crunchy it that is what you prefer. For the hazelnut spread, I took an extra step to heat the hazelnuts for a few minutes to make it easier for the chocolate to blend into it. You can also heat the other ingredients on the stovetop in order to blend beforehand but the Blendtec is so powerful I didn’t need to. After the hazelnuts took on a buttery texture, I added in the dark chocolate chips , honey, almond / coconut milk blend, and a pinch of salt and let it blend until it was nice and smooth. I eat this stuff on everything. My favorite way to eat it is on bread with banana slices and grilled in my panini press . It’s the best dessert to eat in the evening. My kids always have me make them one also. 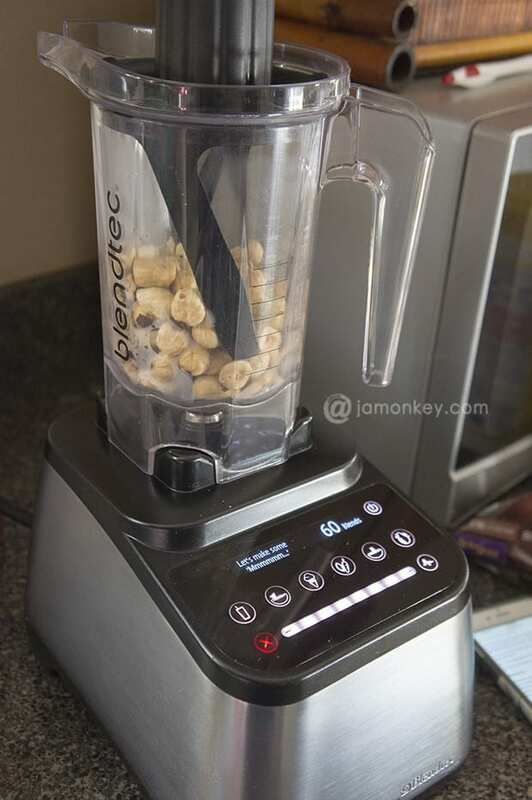 The possibilities of this Blendtec seem to be endless and although they are a high-end kitchen appliance, I am a firm believer in the motto of You get what you pay for. Not to mention you can replace multiple small appliances with this one device. 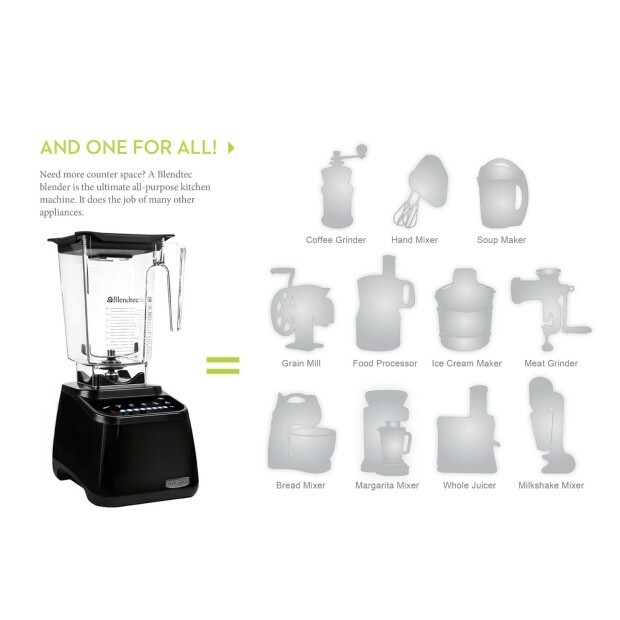 My Blendtec also has a built-in rewards program as well. 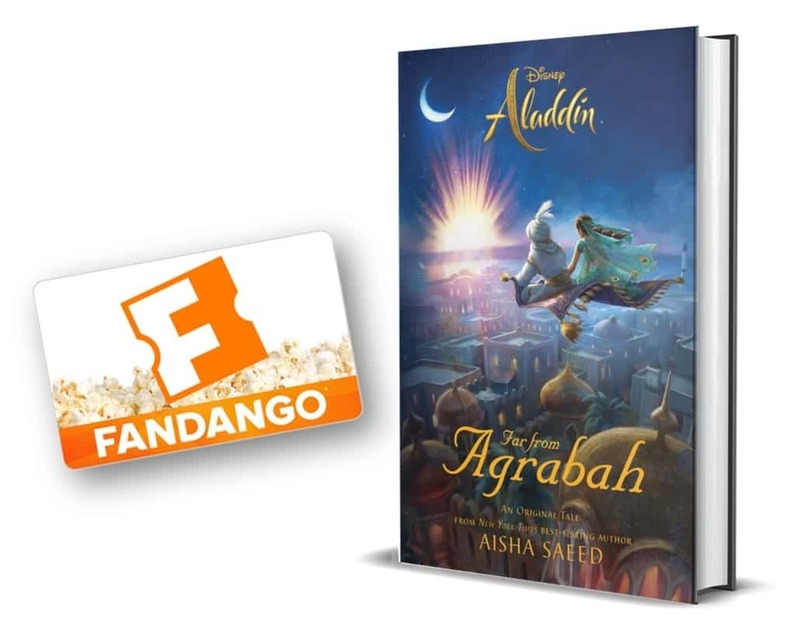 When you reach a certain number of blends it will give you a code that you can then go online and redeem. I have only gathered one code so far but it’s a new system and I can’t wait to see what I can earn in the future. This machine is keeping me healthy. I eat better and I can make more things fresh so I’m saving money as well. It’s the best investment for sure. This hazelnut spread has less fat and no sugar added to it. I used 65% dark cocoa bittersweet chocolate chips so it has a more intense flavor instead of the sweet flavor you might find in Nutella. Dark chocolate is better for you and has no milk in it. The almond / coconut blend is also low in fat and calories. 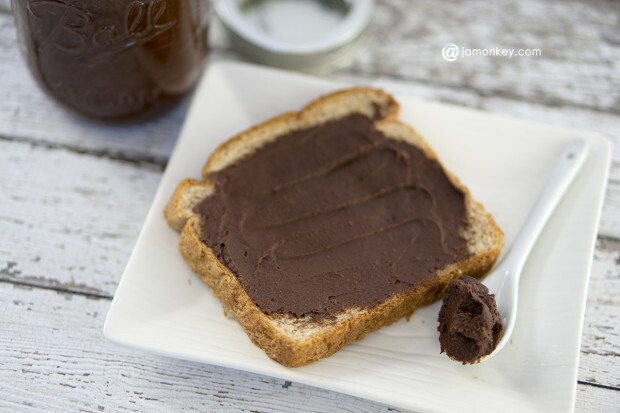 The hazelnut spread can be stored at room temperature after the initial cool down as long at it has an airtight jar.